How many of you have seen this graphic floating around Social Media recently? I told my husband about this quote (and the above graphic) the other morning while I was getting ready for work. He had not seen this yet, but he had heard of Marie Kondo and her “keep what sparks joy” philosophy. What I found ironic though, was less than 30 minutes after I left for work, my husband sent me a screenshot of his Facebook Newsfeed, showing the exact graphic we were just discussing earlier that morning. Coincidence, or was Facebook listening to our conversation??? 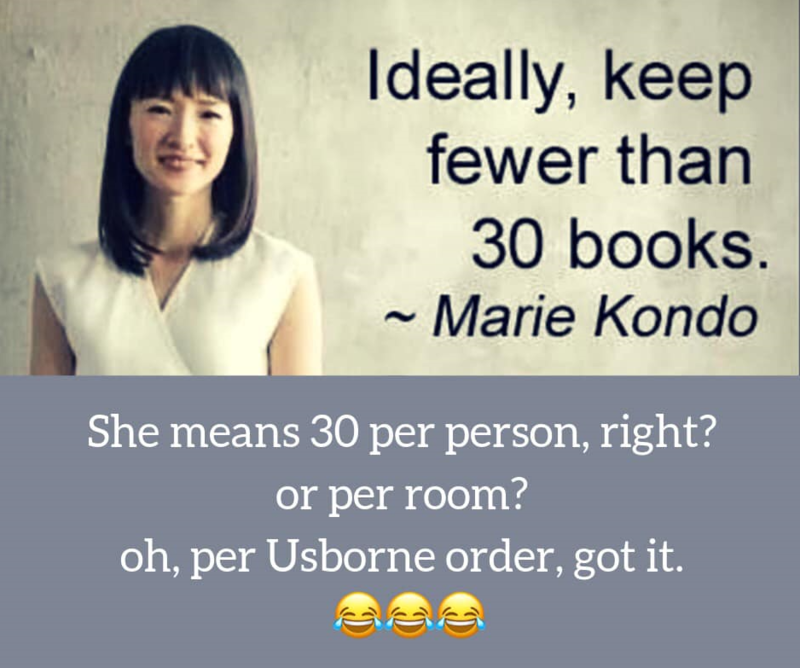 All joking aside, this quote about keeping fewer than 30 books did get me thinking. At the moment, we are living with my mom while we build our house. About 3 months ago, I was faced with the decision of what to pack for storage and what to move to my mom’s. I knew that everything I packed up I would get to unpack eventually, but in the meantime, it is buried in the back of a storage unit, not to be seen again until we move into our new house. So…what do I pack, and what do I move to my mom’s, where we will have VERY limited space? I will be honest, and tell you that I did pack a LOT of books to put into storage. We only took about 20 books with us to my mom’s. Yikes! She has a ton of books already, a bunch from my childhood, as well as some new ones for her grandkids, so it’s not like we were deprived of books while living there, but goodness I really miss some of those books!! It’s amazing how emotionally attached I became to some of the books we had. They bring back so many memories of reading to my babies! And I have been surprised by how many times my 3-year-old has asked to read a particular book and I have to tell her, “sorry, it’s packed away right now.” That breaks my heart! 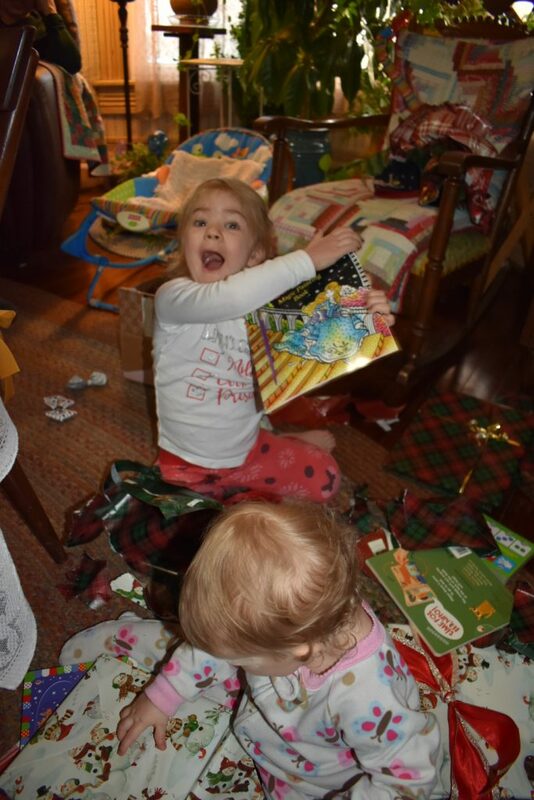 And let me tell you, both of my girls got several books for Christmas this year!!! I’m regretting my decision to pack away so many books and I’m quickly adding to their libraries! 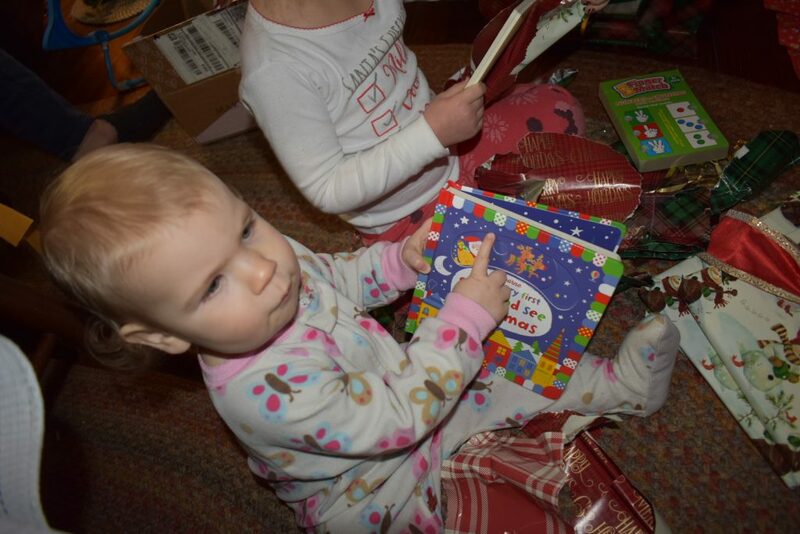 Elizabeth was REALLY excited to open the Cinderella Magic Painting Book. 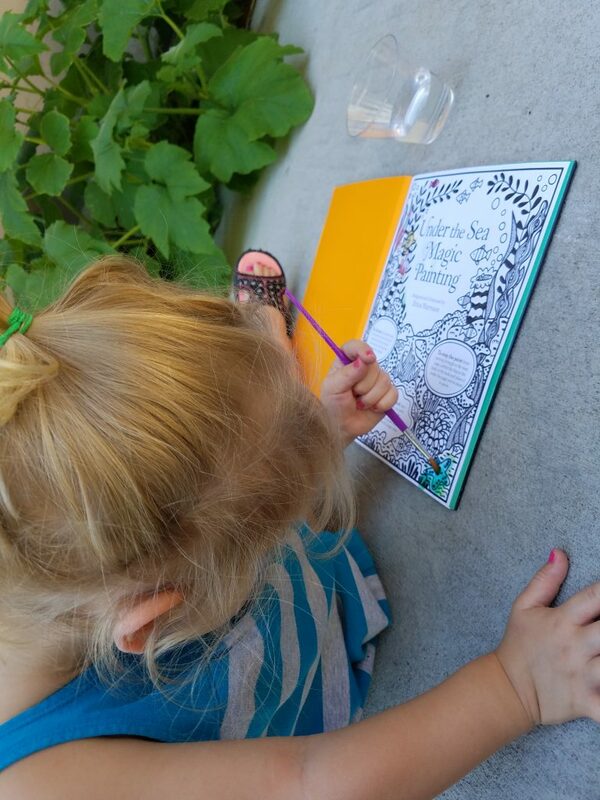 It is the only Magic Painting Book that is also a story book! 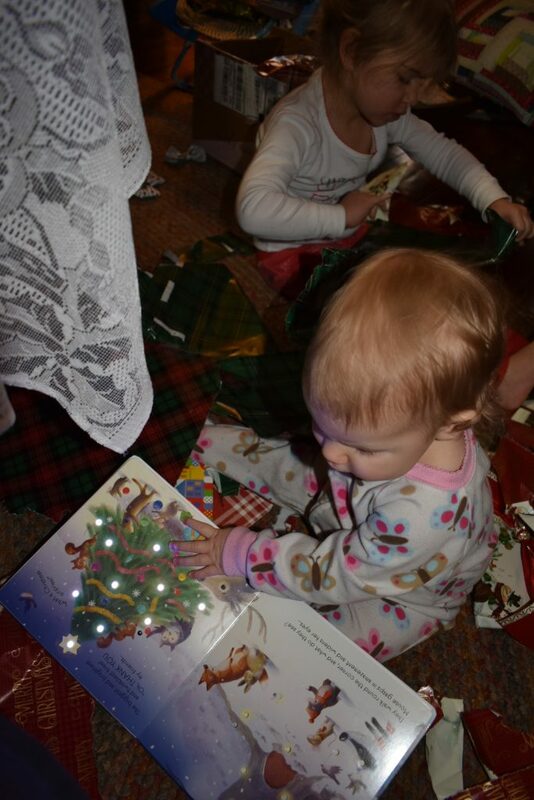 Kathryn immediately wanted to look through her new book, The Twinkly, Twinkly Christmas Tree. Those LED lights were really bright!!! 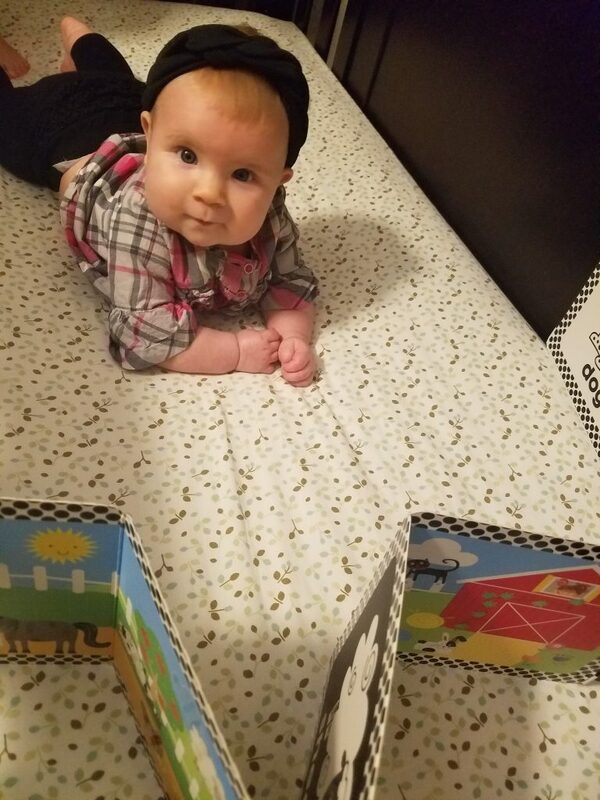 Baby’s Very First Slide and See Christmas was an instant favorite! 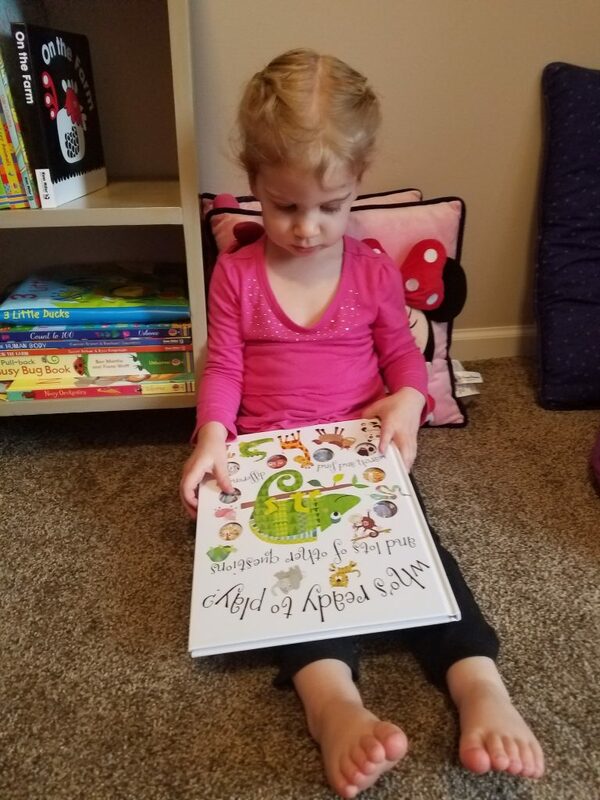 Notice the green book on the floor in the background – that is one of Elizabeth’s new Finger Match Math Readiness books. Looking back, it makes me wonder how I decided what books to pack and what books to move with us. I think I picked the ones my 3-year-old was most interested in at the time of our move. But mostly, I think I just blindly put a few in our suitcase and packed away the rest, because everything happened so fast, there wasn’t time to overthink too much! My biggest regret is packing away my favorite bedtime story – Too Many Tomatoes. I can’t believe I did that! I’m contemplating purchasing a second copy just so I can read it to my girls again. The thought of going a few more months without reading that makes me sad. At least this way, they could each have their own copy, right?!?! Now, keeping fewer than 30 books is not going to happen in my house. Not even close! If you have kids in the house, especially, I don’t know how this is even remotely possible. Then, when you add in kids in different age ranges, the number of books just starts climbing!! 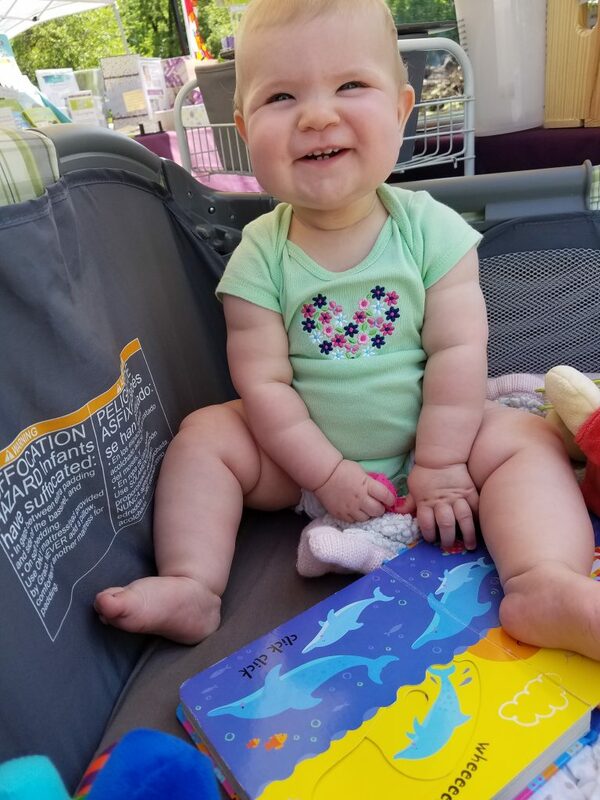 When they are babies, like my 1-year-old, you need black and white books, board books, crunchy books (I’m not really sure what these are called –they are soft, fabric like, and make a crunchy sound when you squeeze them), touch-feely books, and first word books. 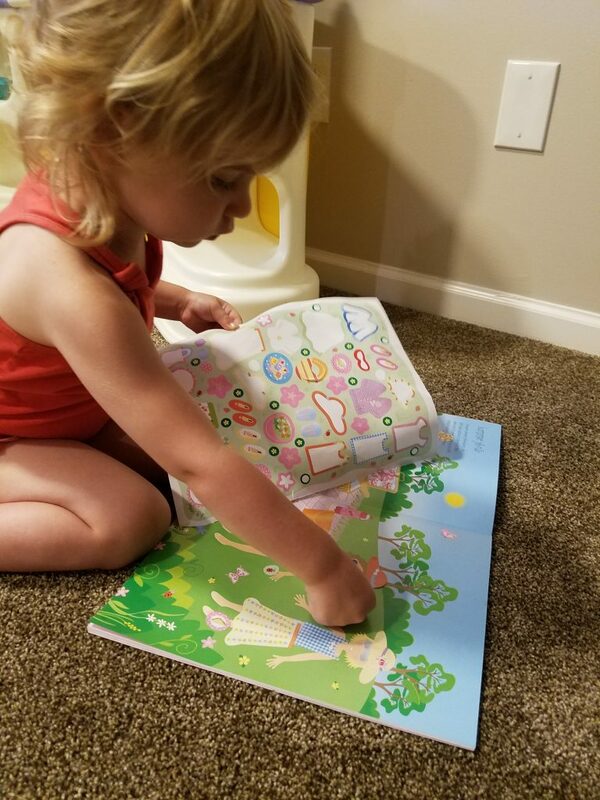 Then once your babies turn into toddlers, you need lift-the flap books, more advanced word books, first things to spot type books, question/answer books, sticker books, and activity books (like Magic Painting – my 3-year-old LOVES these). Once toddlers turn into preschoolers, then you need all the beginning phonics books and wipe-clean books to practice their writing. And you have to have lots of these phonics books, because it doesn’t take them long to memorize one book, so there needs to be a variety, so they can actually learn to read, not just memorize a few stories. Once kids are in school, then the list just gets bigger and bigger. You need more advanced wipe-cleans (like learning cursive or times tables), activity books (like This is Not a Math Book), Encyclopedias (the fun ones, not the ones you remember seeing at your grandparents house), informative books that interest them (like mammals or space), and Fictional Chapter books. Plus, for all ages, you need good story books for bedtime. And this is just for the kids! Adults need books too!! 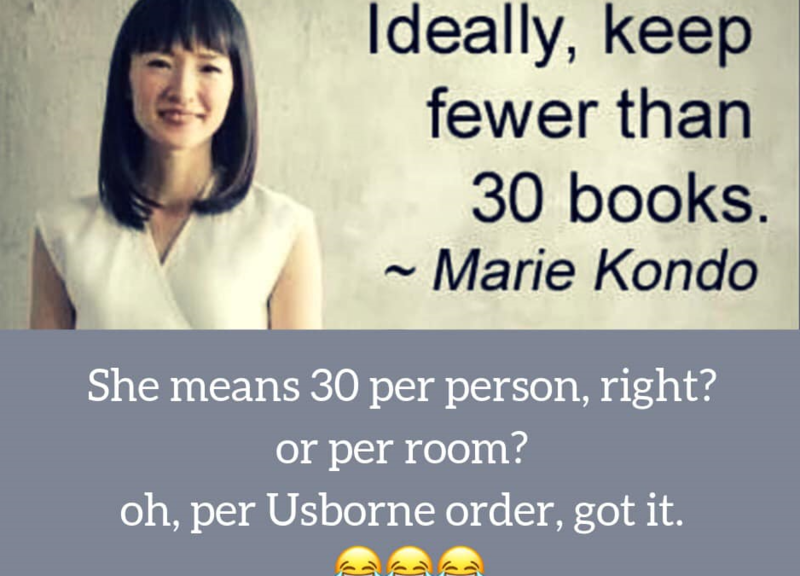 Do you think Marie Knodo is including cookbooks in her count of 30 books or fewer? Because I have way more than 30 cookbooks 🙂 I hope no one ever asks me to count how many books are actually in my house! Under the Sea Magic Painting was Elizabeth’s first Magic Painting book. This quickly became one of my FAVORITE mother-daughter activities. These painting are so much fun – for kids and adults!!! Elizabeth could go through an entire Sticker Dolly Dressing Book in one sitting if I let her 🙂 She loves these!! Who’s Ready to Play and Lots of Other Questions has been a favorite of Elizabeth’s for quite awhile. Honestly, it’s one that when I first saw it, I wasn’t sure I liked it, but my daughter quickly showed me how awesome this book is! Kathryn LOVES that she can move the pieces around in the Slide and See books. This one is Baby’s Very First Slide and See Under the Sea. One of Kathryn’s favorite books when she was little was her black and white On the Farm board book. 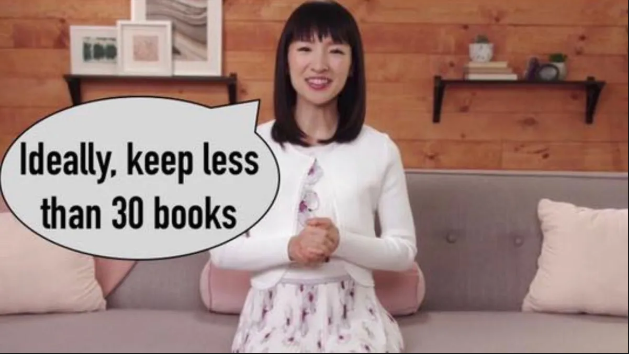 Back to Marie Kondo’s quote, “Ideally, keep fewer than 30 books”. I wonder how she settled on the number 30? Why 30? And if I had to pick only the ones that sparked joy, as she suggests, how many would be on my list? I’m not sure. Definitely more than 30! With my kids’ books (back when we had our own house anyway), I did keep only a few books in their rooms and in their playroom. My thinking was, the more books there are, the more that will end up on the floor, and the more I have to pick up each night. So, I would only keep about 15 in each girls’ room, and about 20 in our playroom. The rest were hidden in a tote in the garage. Every week or two, I would rotate the books, so it was like Christmas morning all over again. This kept the books feeling like new to them. Plus, I had less to pick up off the floor each night. I could never get rid of them permanently though. After a week or two of reading the same 20 or so books, my girls (my 3-year-old anyway) were ready for a new batch of books. 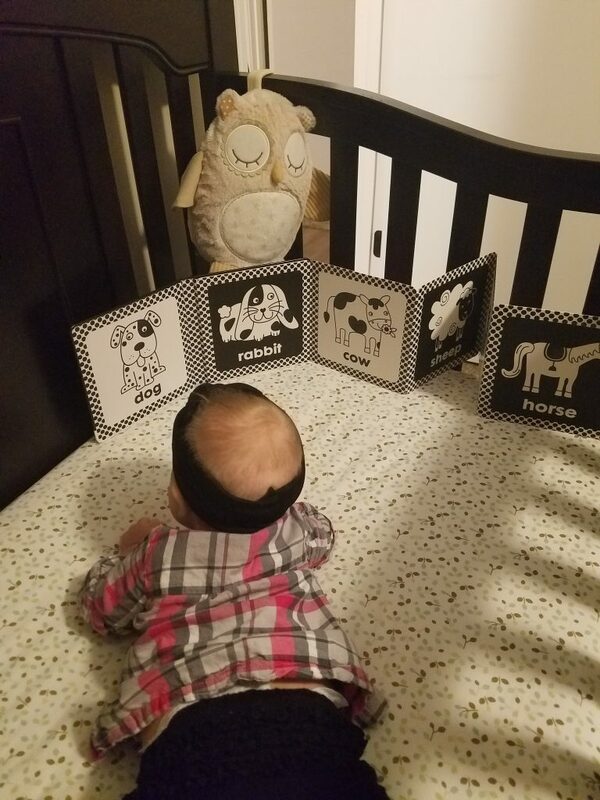 They got bored reading the same ones over and over. Unless it was the current favorite, then it had to stay in the rotation! If you had to move, and could only take a small number of books with you, which ones would make the cut? How many would you take? Could you keep just 30 books, or fewer, in your house forever? Would knowing it was temporary make it easier? Share your thoughts in the comments below! Laura, I’m glad you addressed this question! 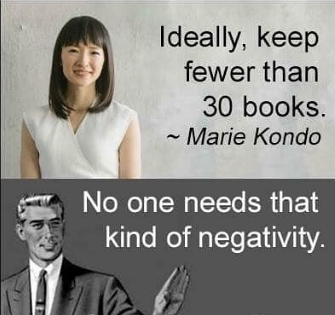 There is no way I would be happy with just 30 books. We have 8 full standing bookshelves. Nearly every room has one! So many of our books “spark joy,” so that is the measure I’m going by. I have gone through our books periodically to give some to the library book sale or sell in our church bazaar. And I admit that I need to go through them again. How nice of your parents to have you live there. (Emily and her boys lived with us when they moved from California. It was such a special time.) You really did have to make book decisions. How happy you will be when you are in your new home with all your books. Your photos are precious! I share your love of books. My heart soars seeing that our grandkids do, too! BTW, we gave the twins the color-by-number books. Perfect for their age. Thanks again! Best wishes. Ahhh,thank you Amy! That means a lot coming from you!!! Yes, we had books in most rooms also. Mainly baskets everywhere because it was a small house, but books were always close! I am enjoying this time of living back at “home”. My girls are really having fun!! We are building just down the road, so once we move out, we aren’t moving far 🙂 I am ready to be in our own space again though! I’m so glad the boys liked their color-by-number books. Those are fun! My 3-year-old actually just did one this morning that was printed in her Highlights magazine. This is such a fun age!! Glad I checked back to see if you had replied to my comment. How wonderful that you will live close to your parents. Sounds like a dream come true. Preschool is my favorite age to play with (and to write for). My picture book, GOD’S PROTECTION COVERS ME, coming out this May from Beaming Books, is for ages 3-5. I’ll have to show you. My thoughts exactly Jamie!! Rotating books sure works for us. Plus, we just simply didn’t have room for them all, and I wasn’t about to get rid of them permanently! I’m glad you liked my first blog post. Now I have to figure out what to write about next…..